“Yes” or “no” questions won’t help you better understand your vendors’ (or your) cybersecurity posture—but actionable metrics will. Twenty years ago, simply asking whether you or your vendors had integrated a cybersecurity program was sufficient. However today, that same practice would be considered negligent at best. Three primary ways you could experience a cybersecurity incident. 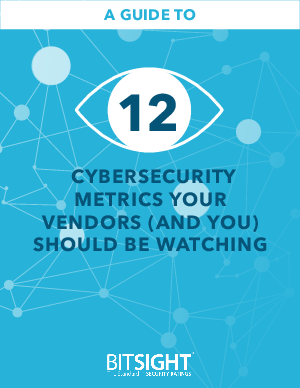 Twelve specific cybersecurity metrics you can put into place in your organization. Detailed explanations of how and why you (and your vendors) should monitor these metrics. Download this free guide today, so you can put these metrics into place immediately.